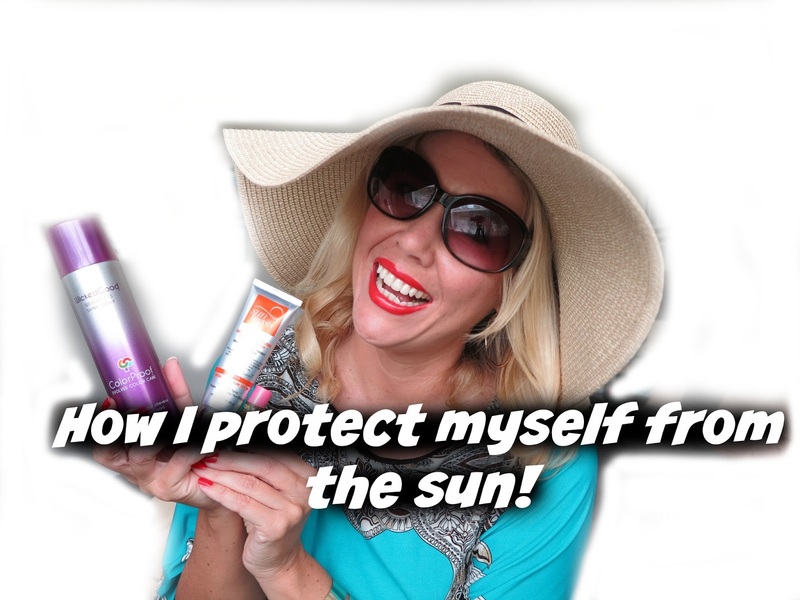 How I protect myself from the sun! I have a couple of tips & tricks to stay cool and safe (from those UV rays!) during summer! WATCH ME ALSO ON YOUTUBE! I love hats and wear them during the summer almost every day. 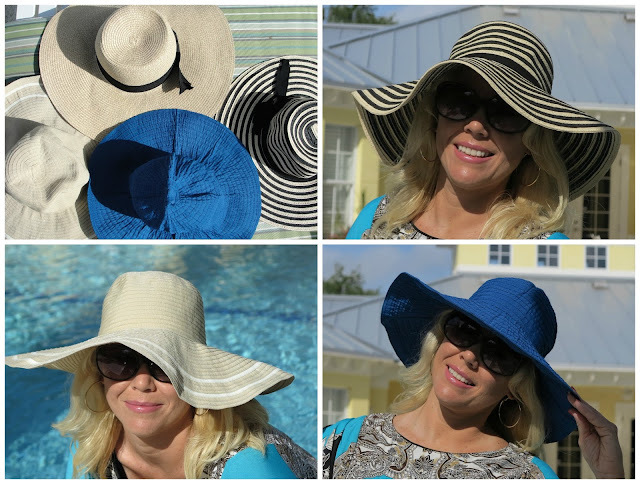 I love big, light weight floppy hats! They look elegant and give me awesome protection from the sun. A no brainer of course. I can not even step outside the door without my sunglasses because it is so bright. It is very important to protect your eyes! It is also super important to protect our lips! Did you know that there is an aggressive lip cancer? It was not easy to find a cruelty free lip balm with SPF but I found one: the Sun Bum Pomegranate has an SPF of 30. But be careful: it tastes so yummy, you might eat it up! 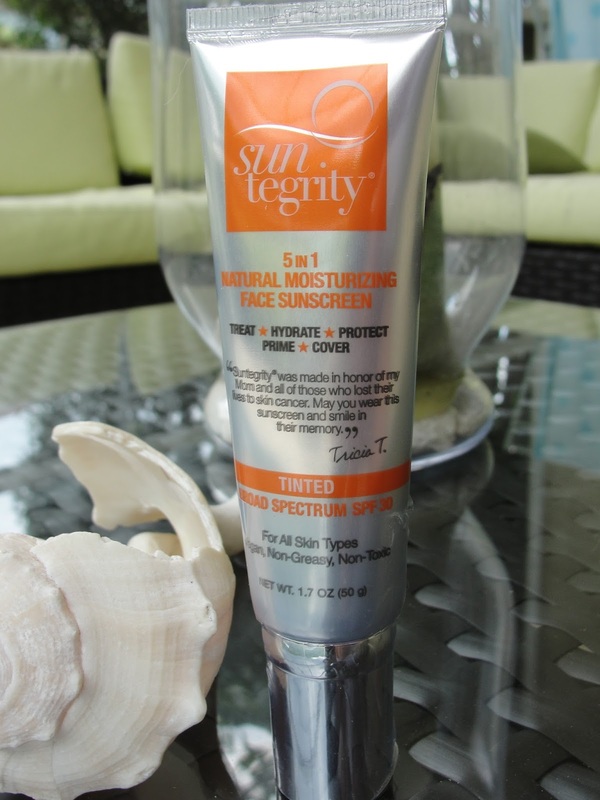 Something new I discovered is the Suntegrity 5 in 1 Natural Moisturizing Face sunscreen. It is already super hot and humid down here in Florida and I don´t want to wear a ton of makeup that would just melt off my skin. This tinted moisturizer (5 shades available!) 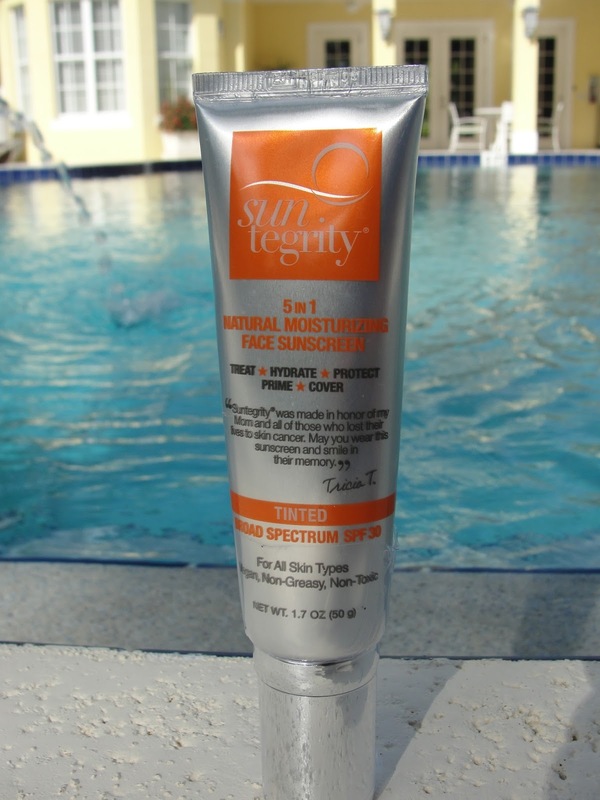 has an SPF of 30 included. I just put this on my face- no primer needed and it even covers some of my uneven skin tone. I have an oily face, so I just top it off with a little Elf HD powder to erase that shine and done! Super quick and I got the whole protection I need. This is a physical sunscreen so there are no toxins and crap inside! Good stuff! Check them out on: https://www.suntegrityskincare.com or get it on Amazon. Want to try it? Scroll down to my Giveaway as I got one for you to win! Yay! Oh yes you heard right! I am protecting my hair. The blondes know: during summer the blonde can get brassy or even too light or even too dry. 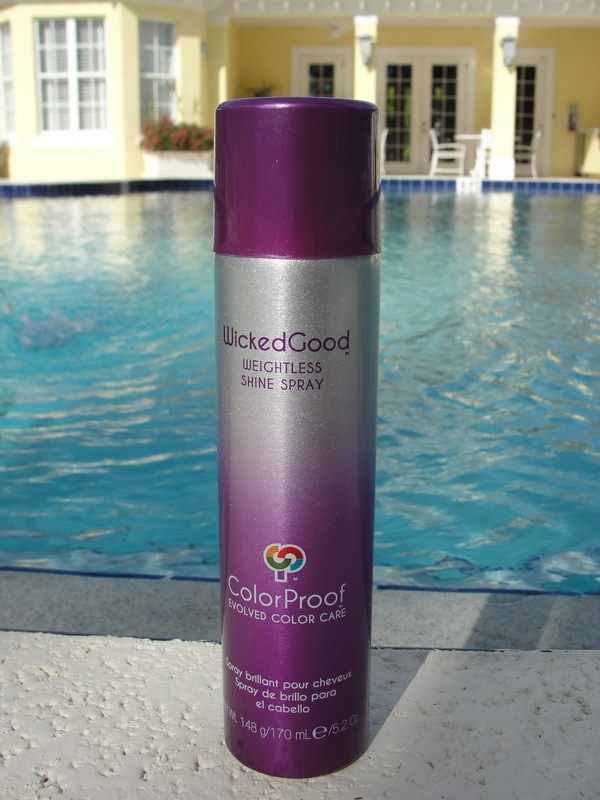 So I am protecting my hair with the Colorproof Wickedgood Shine Spray. That stuff has UV protection included, smells delicious and gives incredible shine. This is not a hair spray that will give you hold! You hair will look and feel healthy and shiny and is protected from the sun. Disclaimer: I received the Suntegrity 5 in 1 sunscreen for free in return for a review. The other products mentioned above I purchased myself. Regardless, I only recommend products or services I use personally and believe will be good for my readers. I am not paid for my opinion. Contains Affiliate links. Read my full disclosure.